Scored over 50 individual transportation projects with INVEST PD and developed recommendations for improvements to ADOT practices as a result of the INVEST evaluations. Integrated recommendations and sustainability concepts from INVEST into ADOT manuals and guidance, specifically, its MPO/COG Manual, ADOT Complete Transportation Guidebook, and Standard Specifications for Road and Bridge Construction. Initiated usage of INVEST to evaluate alternatives in the environmental review process for Interstate‐11, a major project to build a new north-south interstate. Conducted sustainability training using INVEST with internal ADOT departments, external local public agencies such as the cities of Sedona and Flagstaff, and with students and professors in a partnership with Arizona State University. Developed an ADOT Sustainability Award program to recognize ADOT projects and project managers that went above and beyond in sustainability efforts, as measured by INVEST score, best management practices, and collaboration. Each of these activities and their outcomes are discussed in separate sections below. ADOT scored projects in the agency’s 5-year construction program utilizing the Project Development (PD) Module – with a specific focus on statewide roundabout projects. ADOT then expanded the scoring from the focus on roundabouts to projects ranging from pavement preservation, to bridge deck rehabilitation, to new lane miles. ADOT was particularly interested in how green infrastructure, low-impact development, multimodal mobility, freight and Context Sensitive Solutions (CSS) can be measured and defined. 18% of the projects rated silver and 40% of the projects rated bronze, as shown in the breakdown below. PD‐1 Economic Analyses: Work with ADOT’s Multimodal Planning Division to further link PD-1 sustainable outcomes with planning to programming goals and transportation and land use initiatives. PD‐2 Life‐Cycle Cost Analyses: ADOT plans to focus on life cycle cost analysis of sustainable pavement systems through an upcoming effort with the INVEST Operations and Maintenance module. PD‐3 Context Sensitive Project Development: A key success area for ADOT – continue to build on this strength. PD‐4 Highway and Traffic Safety: A new statewide safety program update is underway. This should improve the INVEST score in this area. More importantly, it should improve safety, a key element of sustainability falling under the social pillar of the triple bottom line. PD‐5 Educational Outreach: Continue the ADOT INVEST Local Public Agency outreach effort. PD‐6 Tracking Environmental Commitments: Conduct discussions with the ADOT Environmental Planning Group during upcoming work with the INVEST Operations and Maintenance module. PD‐7 Habitat Restoration: A key success area for ADOT – continue to seek new ways for restoration. PD‐8 Stormwater: Integrate sustainability and INVEST criteria into the ADOT/USGS stormwater joint agency project just signed and funded. PD‐9 Ecological Connectivity: A key success area for ADOT – continue to seek new ways for wildlife crossings. PD‐10 Pedestrian Access: ADOT’s new, Complete Transportation Guidebook is being developed and will include guidance to implement pedestrian access recommendations from the INVEST evaluations, such as improving safety, comfort, connectivity, aesthetics, and environment for pedestrians through features such as countdown signal heads, narrower lanes, pedestrian medians, corner refuge islands, wider sidewalks, landscaping, etc. PD‐11 Bicycle Access: Similar to the above, ADOT’s new Complete Transportation Guidebook will guide ADOT staff to install bike features such as wide shoulders, shared use paths, bike parking, signage, etc. PD‐12 Transit & HOV Access: Decisions on including transit features and HOV access are typically made during the project scoping and early project planning processes. Most of the projects ADOT scored were already past these phases. ADOT plans to start using INVEST at these earlier phases in order to better incorporate transit and HOV access features. ADOT used an innovative approach called a needsbased implementation plan (NBIP) to plan improvements to SR 179, a two-lane road through Sedona, the Village of Oak Creek and the highly sensitive Coconino National Forest. This helped maximize context-sensitivity for this project, which traverses areas of scenic beauty and economic importance from tourism. ADOT continuously solicited input from the community through advisory panels, focus groups, workshops, charrettes and other techniques. The Context Sensitive Solutions (CSS) approach balanced safety and mobility with scenic, aesthetic, historic, environmental and other community values. The process was structured around charrettes open to all: first, a planning charrette, in which residents stated their core values and vision for the corridor; second, a gaming workshop that gave residents an opportunity to express their preferences using a tool kit of design elements. At two screening workshops and a third charrette, the community screened twelve planning concepts to produce a single preferred plan for a greatly improved project. The major benefit was a reconstructed road that is much safer, offers more reliable travel times between I-17 and Sedona, and is less likely to be shut down by crashes and other incidents. It enhances the visual and scenic quality of the driving experience and offers pullouts for scenic viewing. It is now safer and much easier to use for cyclists and pedestrians and provides improved access to nearby trails and public transit. The project brought together agencies and stakeholders who are now more likely to collaborate in the future. The project attained All-American Road status, which enhances the reputation of the community, provides an incentive for preservation, and may bring opportunities for additional federal funding. 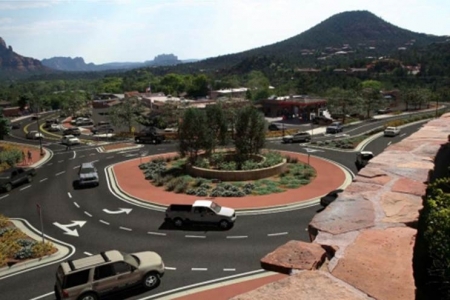 The new roadway is a tremendous source of pride for the entire community and a boon for tourism, which is the mainstay of the Sedona area's economy. With the experience of SR 179 in ADOT’s recent past, the CSS sustainability bar has been set quite high. The INVEST CSS scoring criterion was evaluated on every ADOT INVEST PD scoring project scored. ADOT was pleased to learn that the bar continues to be surpassed in the CSS arena and to look for ways to even further improve in this area of project development. In fact, the CSS criterion has been incorporated as one of the above and beyond considerations in connection with the Excellence in Advancing Sustainable Project Development Award Program. PD‐13 Freight Mobility: A key success area for ADOT. Continue to build on this strength. PD‐14 ITS for System Operations: Seek ways to integrate ITS for system efficiency, particularly Weigh-in-Motion technology. PD‐15 Historical, Archaeological, and Cultural Preservation: A key success area for ADOT – continue to seek new ways for INVEST integration. PD‐16 Scenic, Natural, or Recreational Qualities: Work with natural environment stakeholders to integrate their own sustainability drivers. PD‐17 Energy Efficiency: Conduct discussions with ADOT Facilities Management and Equipment Services groups during upcoming work with the INVEST Operations and Maintenance module. 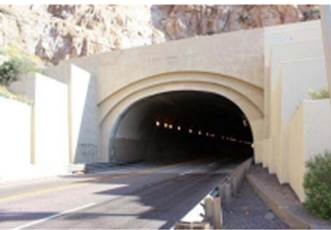 ADOT received a $1 million federal grant to replace the antiquated lighting in the US 60 Queen Creek Tunnel (originally built in 1952) near Superior with a new light-emiting diode (LED) lighting system. This will be the first tunnel in Arizona to have the new, innovative technology. The funding was awarded from the FHWA Accelerated Innovation Deployment Demonstration (AID) program. The total project cost is estimated to be $4.2 million. Continue training for seeding inspectors statewide. PD‐19 Reduce and Reuse Materials: ADOT plans to incorporate improved waste management guidance into the Standard Specifications for Road and Bridge Construction. PD‐20 Recycle Materials: ADOT plans to incorporate materials recycling and other waste management improvements into the Standard Specifications for Road and Bridge Construction. 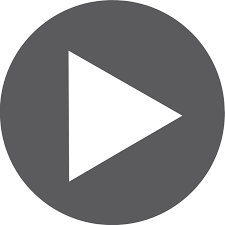 PD‐21 Earthwork Balance: Balancing cut and fill quantities in a project supports the environmental and economic sustainability principles by reducing the environmental and economic costs associated with the transport of earthen materials. ADOT identified this area as one for improvement. ADOT plans to use the $50 million H7900 Superior Streets project as a pilot for testing improvements in earthwork balance. ADOT willphotograph and document earthwork and blasting work and investigate earthwork best management practices. ADOT will evaluate the sequence from Stage 1 to Stage V design plans and compare to actual field determinates. ADOT will examine the feasibility and cost of different options from improving earthwork balance. This project will replace the aging Pinto Creek Bridge on US 60 in Tonto National Forest. The new bridge must be installed while keeping the original bridge in operation, since there are no easy detours. The new bridge will be constructed directly north of the existing structure, necessitating the realignment of approaching segments of US 60. As the project is located within the Tonto National Forest, ADOT has been working closely with the Forest Service on the design. It is essential for the bridge to complement and blend with the natural surroundings. The realigned roadway approach sections will be designed to limit impacts to the existing native plant and rock outcroppings. Once the new bridge and roadway is established, ADOT will remove the existing bridge and roadway sections. ADOT will re-establish areas near the old bridge and roadway sections through native re-vegetation and seeding efforts. PD‐22 Long Life Pavement Design: A sustainable pavement systems case study is being developed for FHWA as part of the work with the INVEST Operations and Maintenance module. PD‐23 Reduced Energy and Emissions in Pavement Materials: Specific focus on sustainable pavement systems will be conducted during upcoming work with the INVEST Operations and Maintenance module. PD‐24 Contractor Warranty: Discuss with ADOT executive management. PD‐25 Construction Environmental Training: New training programs are currently under development. PD‐26 Construction Equipment Emission Reduction: Discuss with ADOT executive management. PD‐27 Construction Noise Mitigation: Discuss with ADOT executive management. PD‐28 Construction Quality Control Plan: Discuss with ADOT executive management. PD‐29 Construction Waste Management: ADOT plans to incorporate improved waste management guidance into the Standard Specifications for Road and Bridge Construction. ADOT plans to improve management of waste streams from pavement preservation projects. ADOT issued an updated Metropolitan Planning Organization (MPO)/Council of Governments (COG) Manual with an entire chapter on sustainability including introducing the INVEST tool to those entities with the next goal of furthering the MPO/COG sustainable transportation outreach effort using INVEST. The manual provides guidance to MPOs and COGs on the transportation planning process within the state. It clarifies roles and responsibilities, improves efficiency, and reduces questions and conflicts. The inclusion of additional sustainability concepts and recommendations from INVEST will be helpful in improving sustainability across the state as ADOT works with MPOs on regional and statewide transportation plans. ADOT is developing the ADOT Complete Transportation Guidebook to support the statewide planning program. This guidebook will include recommendations and sustainability concepts from INVEST (such as bicycle and pedestrian improvements noted above) as well as other sustainability efforts. The guidebook will serve as a desktop reference that documents and connects ADOT’s partnering, planning and designing commitments withthe wider economic, social, and environmental goals of the people who live, work and travel on Arizona’s transportation system. ADOT plans to incorporate improved waste management guidance into Arizona’s Standard Specifications for Road and Bridge Construction. In order to begin operationalizing sustainable practices ADOT has identified the construction specifications as a foundational, long-term approach to adoption. This will spur improvements in reduction and reuse of materials (PD-19), recycling (PD-20), and construction waste management (PD-29). Arizona and Nevada completed detailed corridor planning of a possible interstate link between Phoenix and Las Vegas, and high-level visioning for extending the corridor south to Mexico and potentially north to Canada. Congress designated the corridor as future Interstate 11. The project, also known as the Intermountain West Corridor, would be a multimodal freight corridor and a manufacturing belt to drive trade, commerce, job growth and economic development for the two states, as well as facilitate strong connections to other major regional markets. ADOT advertised for proposals to complete a federally funded $15 million Tier 1 Environmental Impact Study (EIS) for the proposed expanded portions of the future I-11 and Intermountain West corridor. The Tier 1 EIS is expected to take three years to complete, starting in late 2015. In meeting with the FHWA Division office on the scope of work for the project, ADOT decided to use INVEST as part of the alternatives screening for the study. ADOT will consider advancing innovative scope of work objectives in connection with other environmental activities as an additional format for stakeholder participation and project acceptance. ADOT developed an INVEST training program in order to develop new and novel sustainability operational and partnering opportunities. Internally, ADOT conducted training on INVEST and sustainability with the ADOT Statewide Project Management Group and with the ADOT Environmental Planning Group. INVEST helped ADOT further internal lines of communication, sparking new types of discussion and collaboration on improving sustainability of the agency’s projects and programs. Externally, ADOT conducted INVEST training with local public agencies, including the cities of Sedona, Flagstaff, Scottsdale, and Tucson. ADOT found the trainings to be a powerful partnering tool. ADOT and its local partners used the INVEST sustainability framework to develop shared visions for sustainability and specific project improvements to ADOT projects that had large impacts on these cities. Additionally, ADOT partnered with Arizona State University on a joint case study project. In the Fall of 2014 the school held their Urban Sustainability: Best Practices/Case Studies graduate class. ADOT sought to achieve three goals: deepen the topic of transportation at the university programs level, formalize transportation and sustainability linkages at the university level, and introduce the interesting technical and scientific puzzles found in State DOT program to students. ADOT developed an Excellence in Advancing Sustainable Project Development Award Program. The award program recognizes districts and project development groups that demonstrate high levels of sustainability in their projects as judged by three criteria: INVEST score (50%), best management practices (30%), and collaborative efforts (20%). The award program celebrates sustainability accomplishments, inspires others to incorporate sustainability elements in their projects, and facilitates internal dialogue and sharing of sustainability practices. Institutionalized the use of INVEST across the agency and with local partners in order to further existing sustainability efforts and pursue new ones. Initiated usage of INVEST to evaluate alternatives in the environmental review process for Interstate-11, a major project to build a new north-south interstate. Developed an ADOT Sustainability Award program to recognize ADOT projects and project managers that went above and beyond in sustainability efforts, as measured by INVEST score, best management practices, and collaboration. All photos courtesy of Arizona DOT.